This entry was posted in Buying Advice and Reviews, Equipment and Upgrades and tagged Arca-Swiss, camera, flash brackets, LC-A12, LCF-10, nikon, photography, Really Right Stuff, RRS, tripod by Lee. Bookmark the permalink. Hi, I have just changes from AF-S 80-200 f2.8 to the 70-200 f4 and am missing the lens collar. On the 80-200 I had the superb Burzinsky collar which is very close to the lens and this not adding more bulk in the bag. I was thinking if it is possible to attach a small AS Plate directly to the RRS collar. So a) save the cost and b) more important the bulk of the RRS foot itself. Have you tried this? I would like to know your opinion as I may be ordering the collar only then. Ede – I’ll have to take a closer look at my collar this weekend, but if you’re concerned about the footprint, the Kirk collar looks much lower-profile, and they make great stuff. 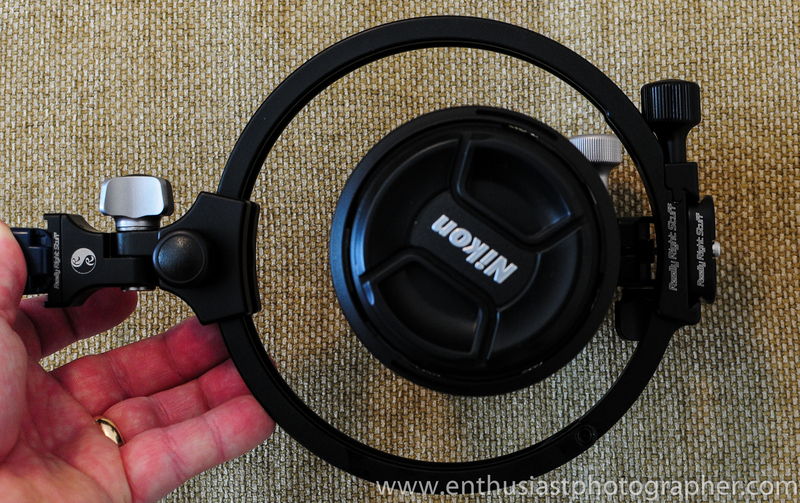 The Kirk product is a collar and foot together – you use or remove the whole thing. Personally, what I love about the RRS setup is that the foot is removable, so it doesn’t take up much space at all when I’m not using the foot. I had this combination (LC-A12 + LCF-10) on my 70-200 f/4 VR and found it lacking. 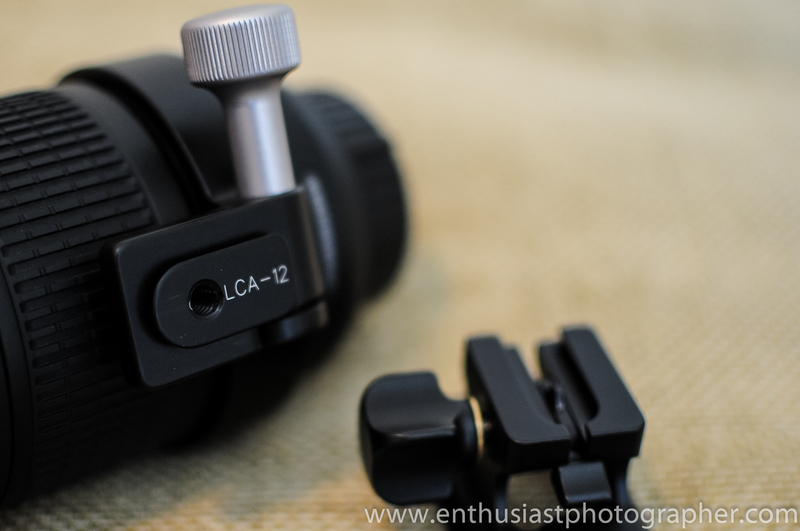 The LC-A12 had too much flex with the lens. I sold it and went with the Kirk and have been very happy with it. I have the Kirk on both the 70-200 f/4 VR and the 80-400G VR and they are solid, and a lower profile to boot. I LOVE RRS and have many thousands of dollars in tripods (awesome! ), heads, body plates and pano gear from them, but I haven’t been as thrilled with their lens collars I’ve owned (several). Thorough review and most useful video. Thank you for finalizing my decision. 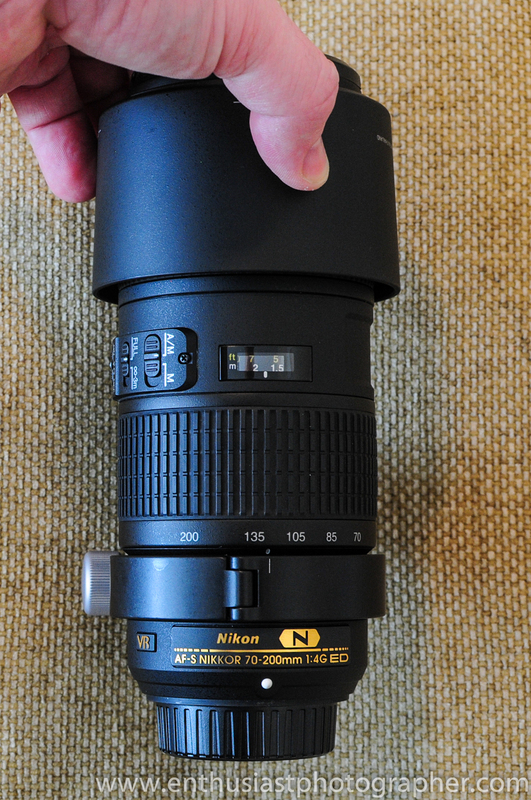 This will be ideal for the 300 f4E PF Nikkor as well as the 70-200 f4 Nikkor. Can you still use the original Nikon detachable foot – Product JAA78151-TPF ? I fear RSS has made their’s incompatible…. Unfortunately I’ve gotten to the point where my kit is pretty “settled”, so I’m not sure what the current state of the options are from RRS and Nikon. It looks very similar, but you’d have to add a plate to the foot for use with Arca Swiss (or my Black Rapid rig hack). Worth a shot. 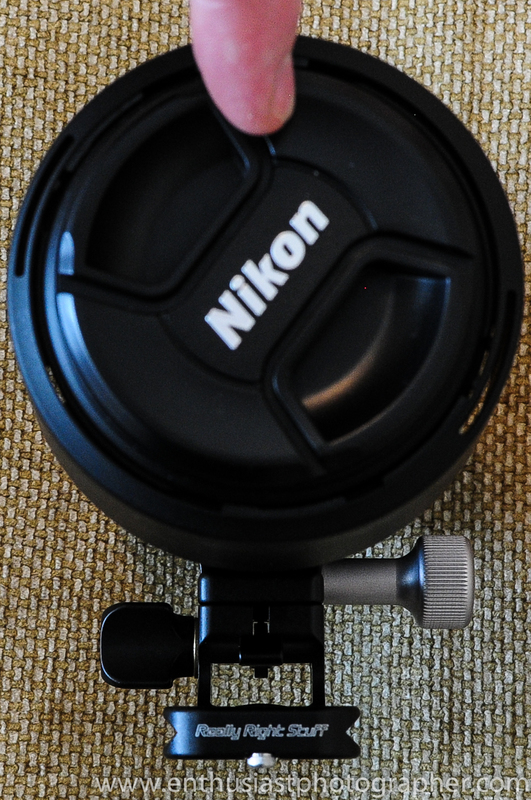 If you save a search on eBay, I’m sure you’ll eventually be able to get the bits you need (RRS or Nikon). FredMiranda.com’s Buy/Sell is also an awesome places for a “want to buy” post, though it does require a thoroughly-worth it $30-yearly subscription to post an thread in that subforum (free otherwise of course). Thanks for visiting! 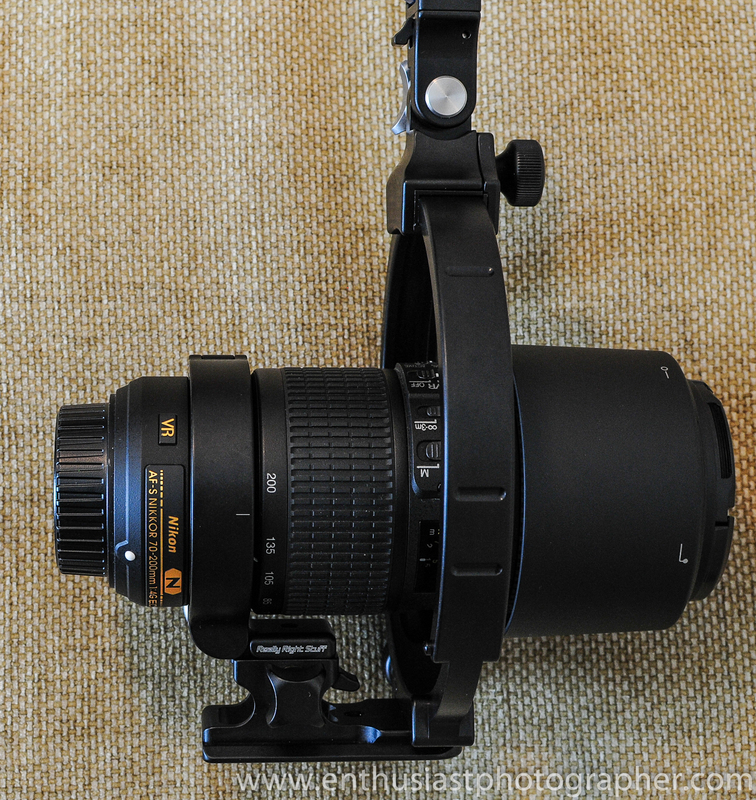 My solution for the collar and mounting foot for the Nikon 70-200 f4 is to use the NIkon RT-1 collar, but mount it on the RRS L84 mounting plate (as suggested by the RRS website, if one digs deep enough). 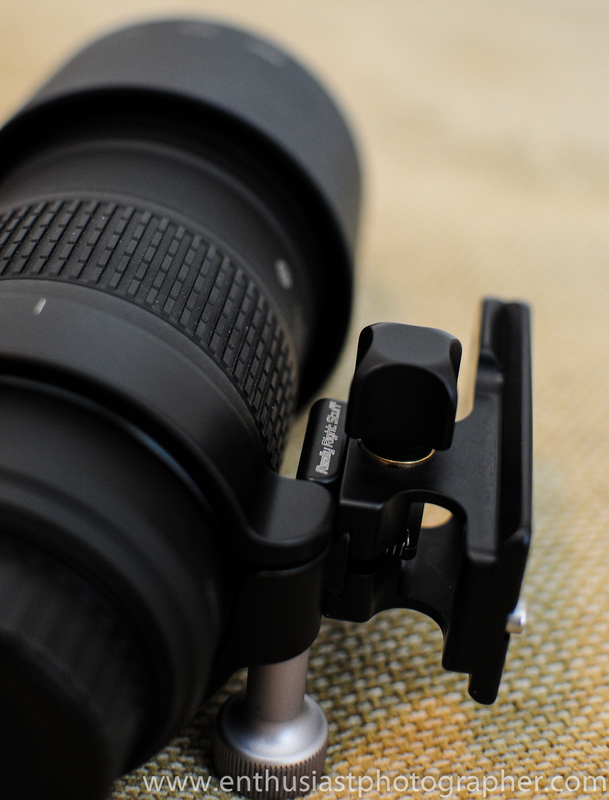 The L84 plate mates with the RT-1, and the plate has an anti-twist lip at the rear so the lens does not creep about the single 1/4-20UNC threaded insert that Nikon provides on the RT-1 collar. While the RT-1 is expensive (what isn’t from Nikon), mounting it on the L84 results in a low-profile mounting solution, and using the RT-1 the fit with the lens is snug and secure (you might say, as if they were made for each other)! 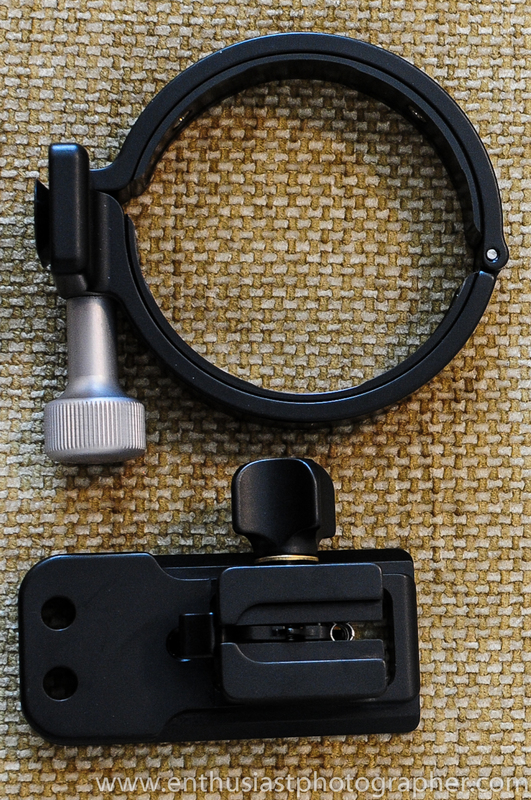 If one doesn’t need the tripod collar, removal takes about 5 seconds to unscrew the tightening knob, open, and remove the collar from the lens. The collar can then be stored in one’s photo backpack, until it is needed. The LC-A12 RRS mount looks like it is too tall, and looks complicated for what it needs to do (and now I read from the comments above its fit with the lens is too loose). 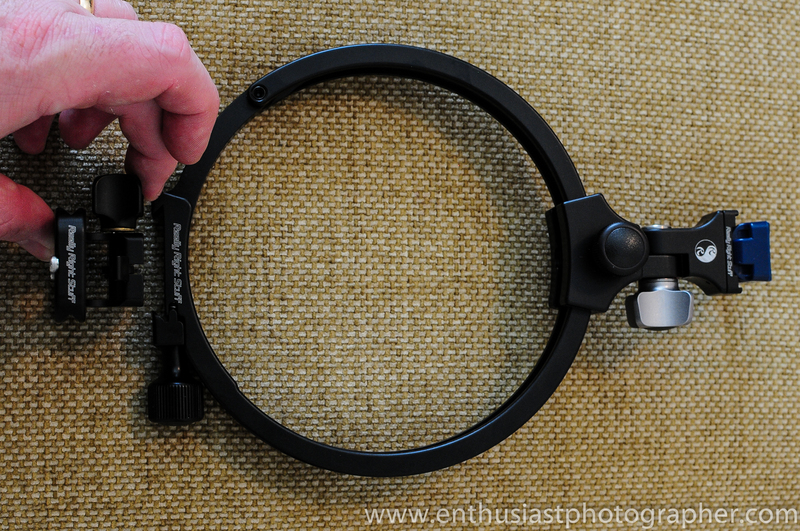 I almost bought the $50 Vello TC-N1 tripod collar, but its single rib design at the rear of the collar would result in a less than optimum interface with the RRS anti-twist plate lip, and reviews on Amazon indicate the 1/4-20UNC threaded insert might pull out. The rear of the RT-1 collar has a dual-rib design which results in the most stable interface with the RRS anti-twist plate lip. 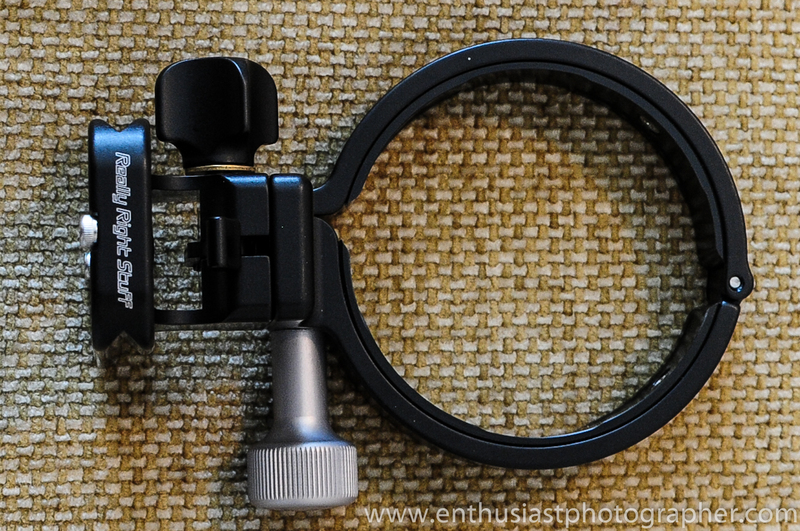 I also looked at the Kirk mount and I wondered what the thin forward stabilizing support would do to the lens’ finish after using it for awhile. 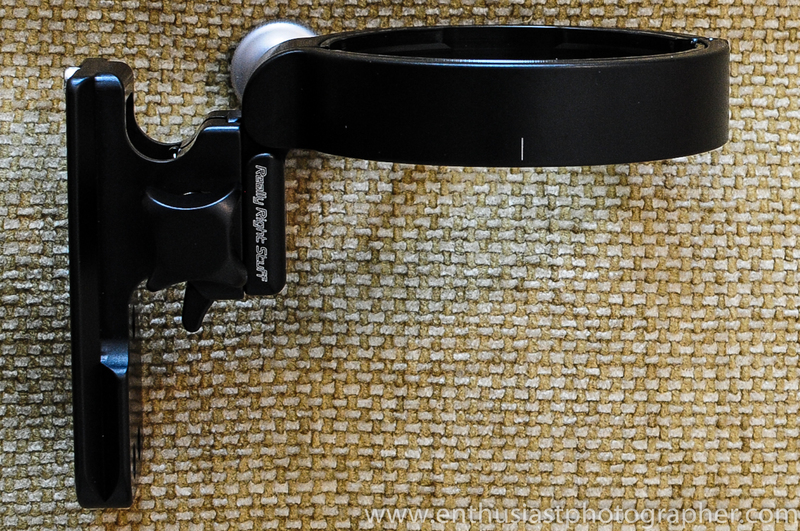 I have found that Kirk’s Arca Swiss plates don’t always fit my RRS quick-release clamp tripod head as well as I would like. 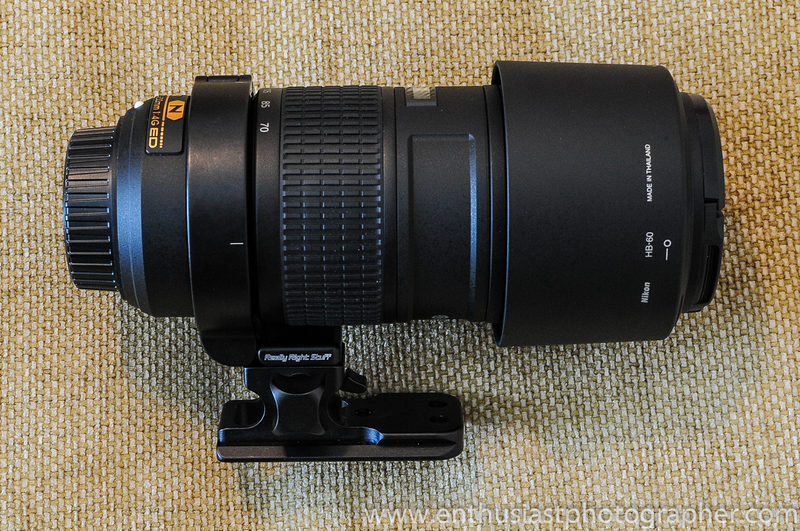 I am very satisfied with my Nikon RT-1 + RRS L84 plate solution for the Nikon 70-200 f4.